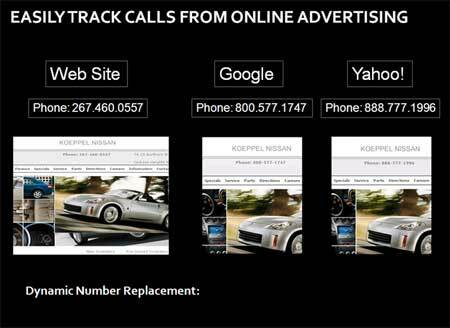 With an dynamic inbound call tracking system the phone numbers on your web site automatically change when people come to the site from one of the PPC search ads. When someone calls you on one of the numbers the system knows the call was generated by one of ads. We usually implement an advanced analytics package that will allow us to better see, by keyword phrase and referral site, what people do once they reach your site, how they navigate through the site, where they drop off, what pages are converting well, what pages are not converting well and should be modified and tested, what keyword phrases, partner and advertising sites are paying off from which search engines and ad campaigns, and which phrases and referral campaigns are not paying off and should be modified. An analytics system is one of the most important tools we have to find and fix conversion problems on a web site, continuously improve conversion rates and to measure the results of marketing campaigns such as search engine marketing and link building and promotion campaigns. 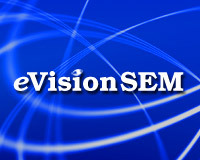 Ready to have eVisionSEM improve your digital marketing results?